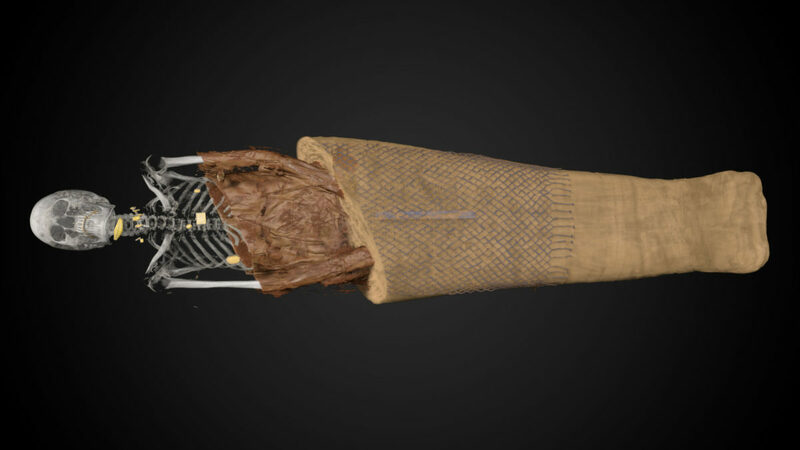 As a part of the renovation of the world-famous Egyptian galleries at Dutch National Museum of Antiquities (Rijksmuseum van Oudheden) Interspectral have worked with the museum’s scientist and exhibition team to 3D scan and visualise some of the most interesting mummies from the collection. The result is new spectacular research findings and two interactive exhibits in the galleries that will allow museum visitors to get hands-on with unique findings. As part of the remodelling, the museum in collaboration with Interspectral, has gone through an extensive 3D X-ray scanning project. Now, with help of Inside Explorer, it is possible for the researcher to reveal more findings and present them to the visitors in the galleries. 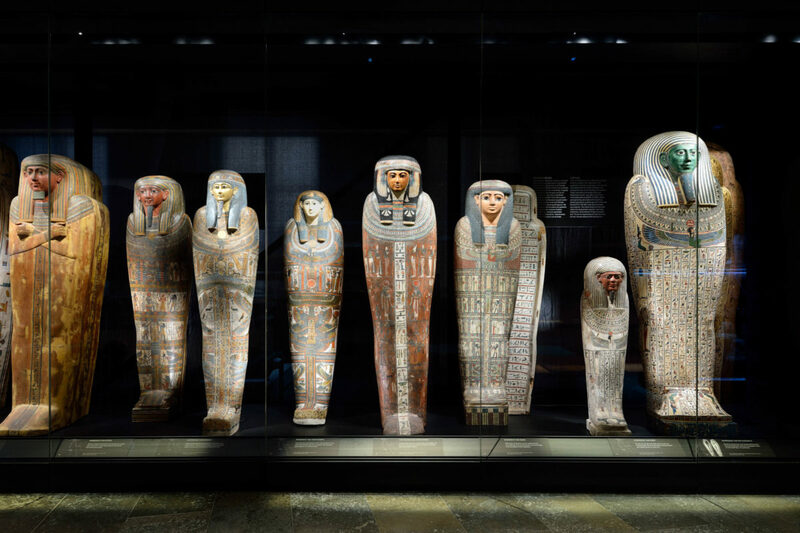 The Interspectral team supported the museum all the way from the initial scans of the mummies, through research and the resulting new exhibition experience. 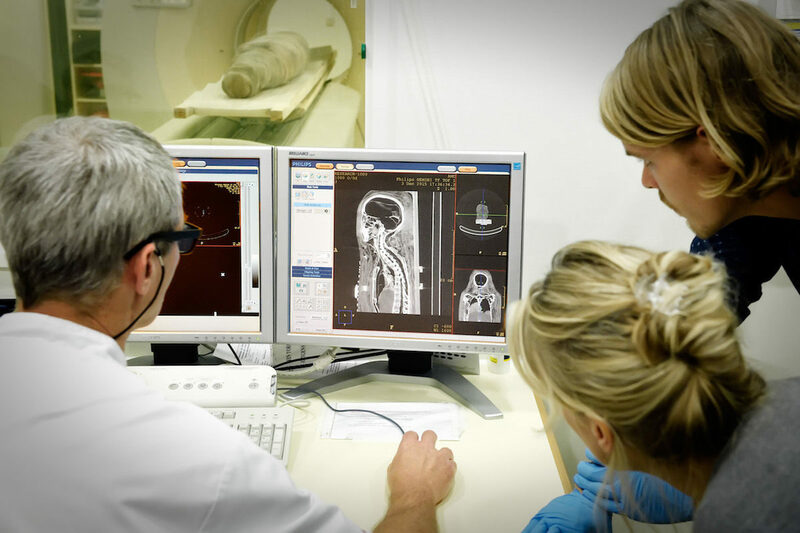 The 3D CT scans of the mummies were made at Academisch Medisch Centrum in Amsterdam using a high-end Philips scanner. 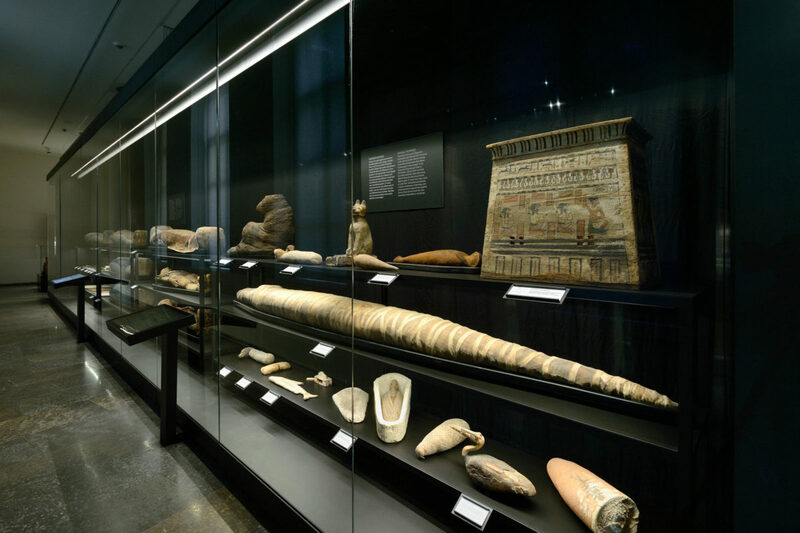 The biggest revelation came from exploring the three-metre-long mummified Egyptian ‘giant crocodile’, one of the finest animal mummies in the Dutch National Museum of Antiquities, which turned out to be literally filled with surprises. 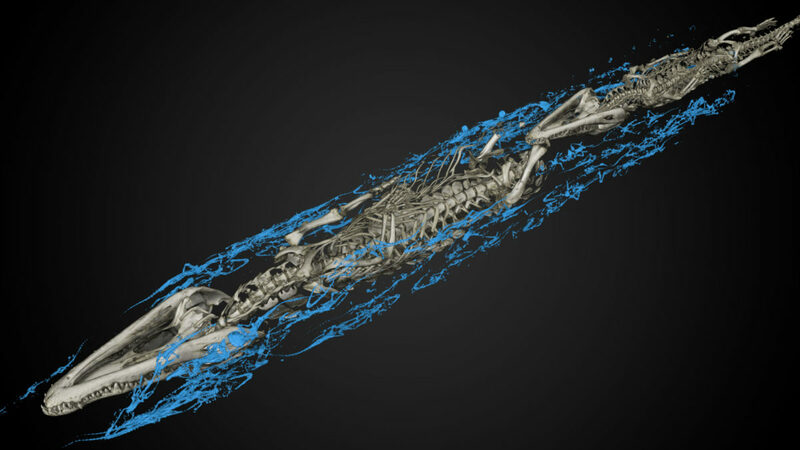 An earlier scan had already shown that the giant crocodile was in fact two adolescent animals, but now evidence of fifty baby crocodiles being wrapped together in the exterior bindings of palm rope that held the two larger crocodiles in place has been revealed. 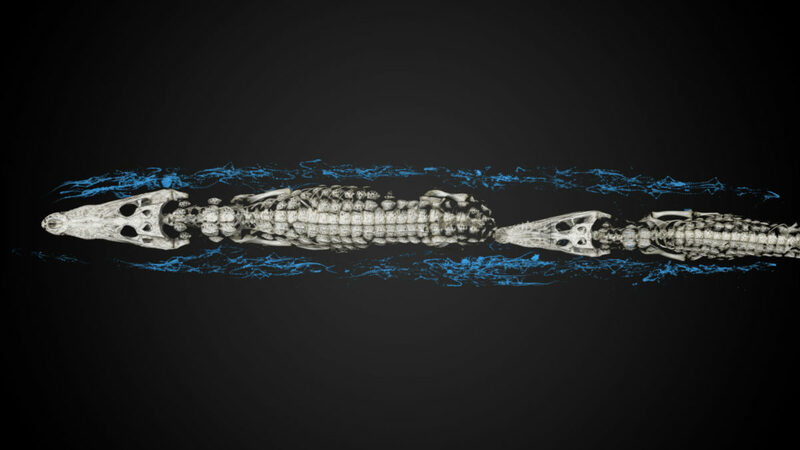 Although baby crocodiles have been found wrapped inside other mummies, only one parallel is known wrapped in this particular way. The findings are highly interesting for the research community and have been submitted to a high impact academic journal. 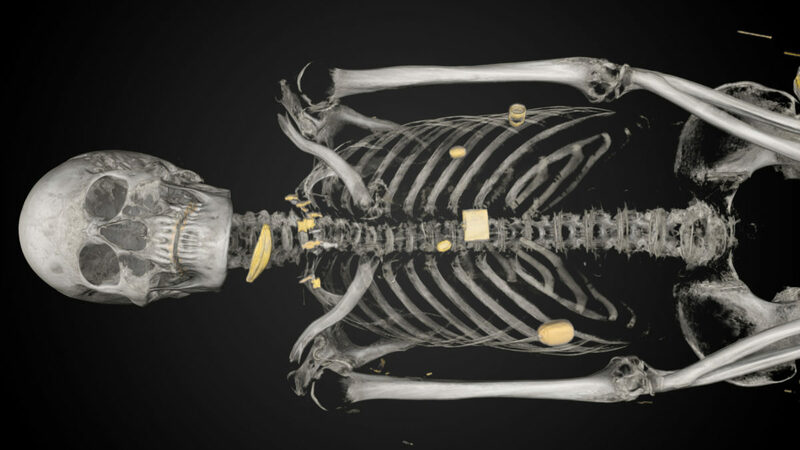 The paper describes how high resolution CT scans, in combination with the interactive visualisation tool Inside Explorer, have been critical to undertake the new research. 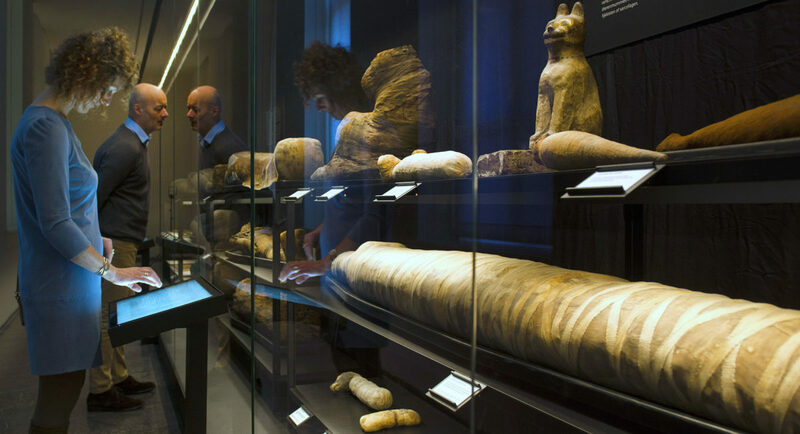 “The users can explore the mummies themselves by researching the scans and virtually peeling the wrappings away. This active, hands-on approach arouses curiosity and enriches the visitors’ museum experience – one of the most intriguing aspects of ancient Egyptian culture is just at their fingertips”. 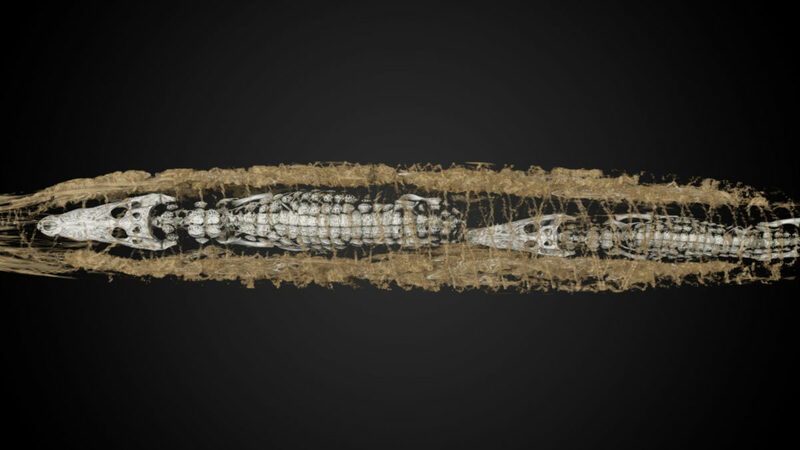 In addition to the crocodile mummy, the mummy of the priest Ankhhor have been explored. 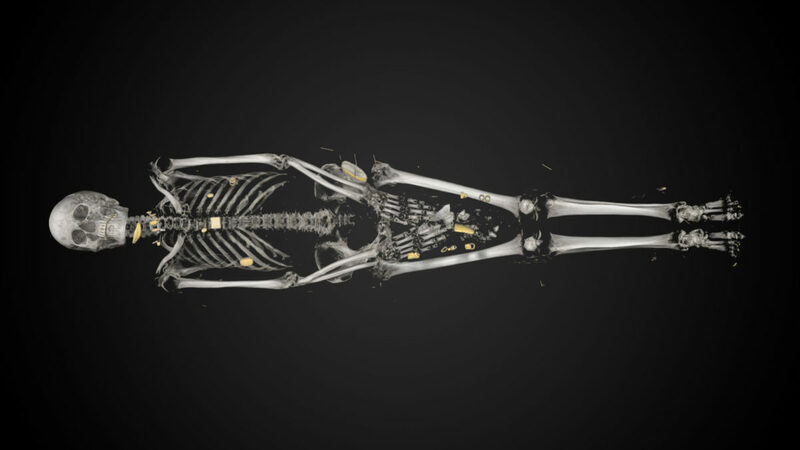 Thanks to the new visualisation, details about his pathology were made clear, giving vital clues about his age and health, as well as details of how the mummification took place and specifically the processes it entailed. 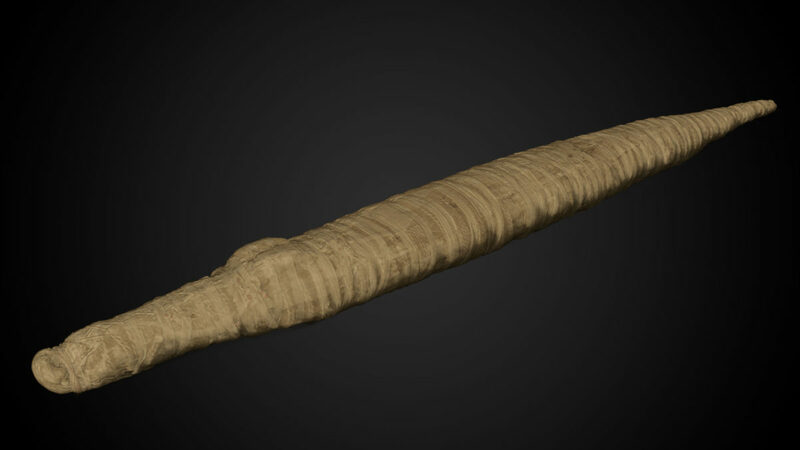 Starting on 18 November, museum visitors can perform an interactive virtual autopsy on the crocodile mummy and the mummy of the Egyptian priest Ankhhor. Using touch screens, they can examine the mummies layer by layer, learning about their age, physical features, and the mummification process. 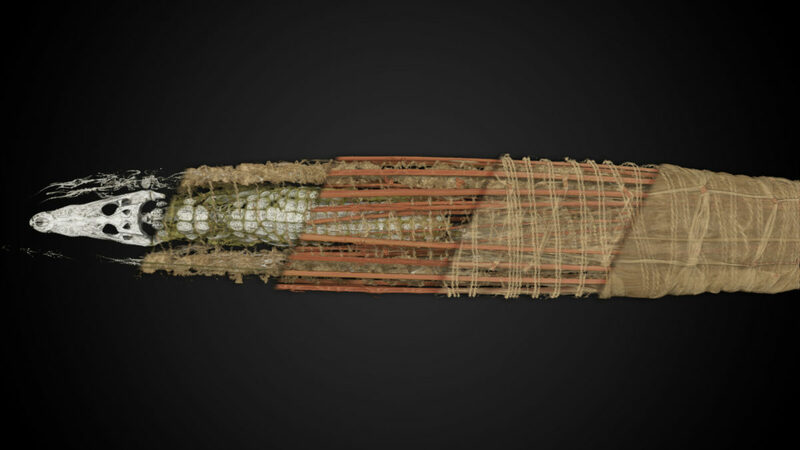 The amulets placed inside the linen wrappings with the mummies can also be examined in detail and from all sides in 3D. We can assist you in all the steps of a 3D-digitisation project, from concept development to 3D-scanning and the production of the final user experience, ready to be installed at your museum. Press release and high-resolution photos and video.